Despite our protestations in the last episode, Your Stupid Minds has, by somewhat coincidence, decided to make January a Worst of 2015 theme. 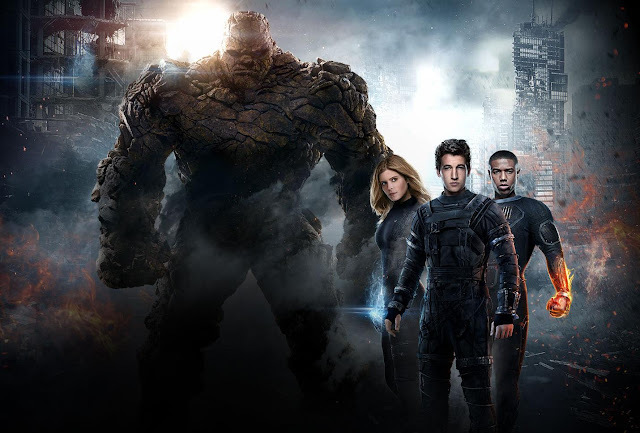 We review our second Fantastic Four movie with one that for some reason was actually released, 2015’s Fantastic Four. Featuring a hip new cast of Oscar nominees and hopefuls, gritty teal and orange cinematography, and a rushed, nonsense final product with 30 minutes cut, the 2015 version manages to be the worst of the bunch. Plot synopsis: See the 1994 and 2005 versions. Science, accident, get powers, Dr. Doom is evil. Add: Miles Teller, Kate Mara, Michael B. Jordan, Jamie Bell, Dan Castellaneta, bad American accents, and science fairs. Remove: Most of the plot, anything charming or fun, and the director’s original intent. The Flash is from Central City. Eagle-eyed viewers should keep a look out for Kate Mara's wig, visible in her re-shoots. Marvel's response to this film, beyond not promoting it at all, was to cancel the book in April 2015. This marked the first time in fifty-four years that Marvel was not publishing at least one Fantastic Four comic. I actually would LOVE more reviews of 2015 bad movies. What about "United Passions"? Too boring? Great review. I love you guys quipping about how Dr. Doom managed to get his doctorate in the alternate dimension.